This store bought costume for babies entered our 2017 Halloween Costume Contest. 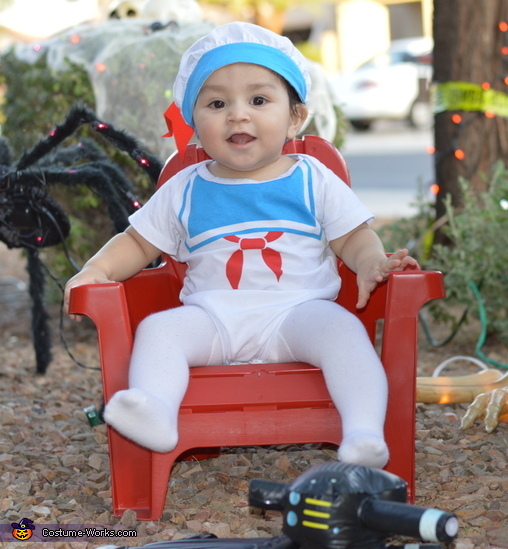 Our son Nicholas (10 months old) is dressed up as Stay puft. His costume was purchased off ebay. My husband and I are dressed up as Ghostbusters. We purchased our costume on Amazon.